A charitable bequest is an easy and flexible way that you can leave a gift to support the Insight Meditation Center (IMC) and/or the Insight Retreat Center (IRC) for generations to come. The Legacy Giving Community (optional) recognizes and honors these thoughtful and generous supporters who express their commitment to the secure future of IMC/IRC by including IMC/IRC in their estate and financial plans. Members of the Legacy Giving Community are invited to an annual luncheon with the IMC/IRC Teachers. Fill out this ONLINE FORM or mail in this PRINTABLE FORM to let us know of your bequest. 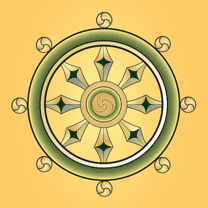 The Insight Meditation Center of the Midpeninsula is the parent organization. Bequests can be further directed for use by either or both: the Insight Meditation Center and/or the Insight Retreat Center.